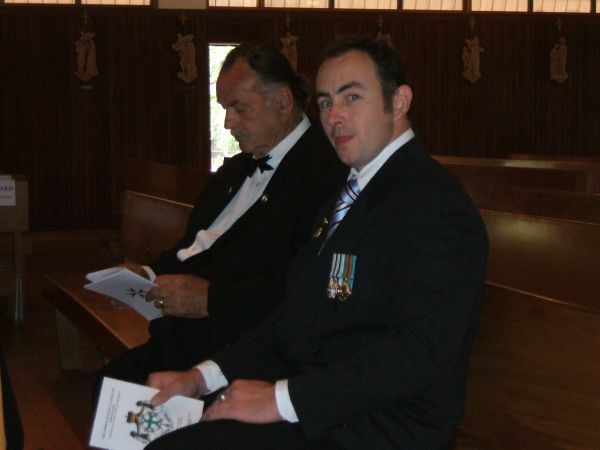 The Investiture Ceremony that was held in Te Awamutu in April 2008. New Zealand Chancellor Chevalier John Hay leading postulants to their seats. (L-R) Postulants Raymond Messenger and Benjamin Subritzky-Kusza Ct.
Members of the Auckland Commandery and Friends gathered outside of Saint Patrick's church Te Awamutu 12th April 2008.